Sinharaja morning walk…looking for bird flocks on the way to the Gallenyaya caves. 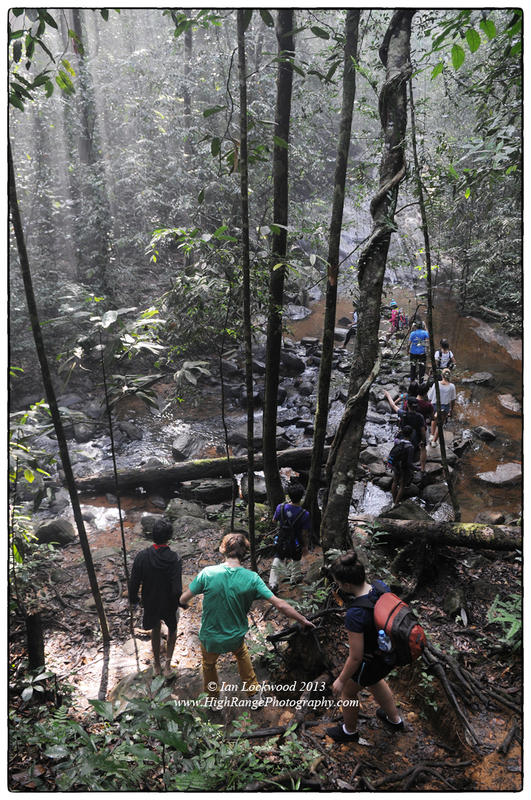 At the end of January I spent five superb days exploring different aspects of Sinharaja’s ecology, geography and human impact with sixteen Grade 10 & 11 students. Our trip was part of a larger secondary school learning exploration of Sri Lanka. The focus is on experiential education, service and addressing curricular goals outside of the traditional classroom. For the older students the trips are focused through the learning outcomes of the Creativity Action & Service (CAS) program. Our group started in the west with two nights at Martin’s Lodge near the Kudawa entrance. This, of course, is where the vast majority of visitors to Sinharaja go. Martin’s offers a very genuine, albeit basic, kind of ecotourism opportunity: Martin and his family are from the area, the lodge is powered by a home-made mini-hydro unit, you eat locally produced Sri Lankan food, drink clean stream water, take showers in solar heated water and enjoy many of Sinharaja’s avian highlights sipping tea on the verandah. There are few temptations to distract you, though cell phone connectivity is starting to creep in. This proved to be a bit of a distraction to several members of our party who had a challenging time being offline and away from other modern trappings. 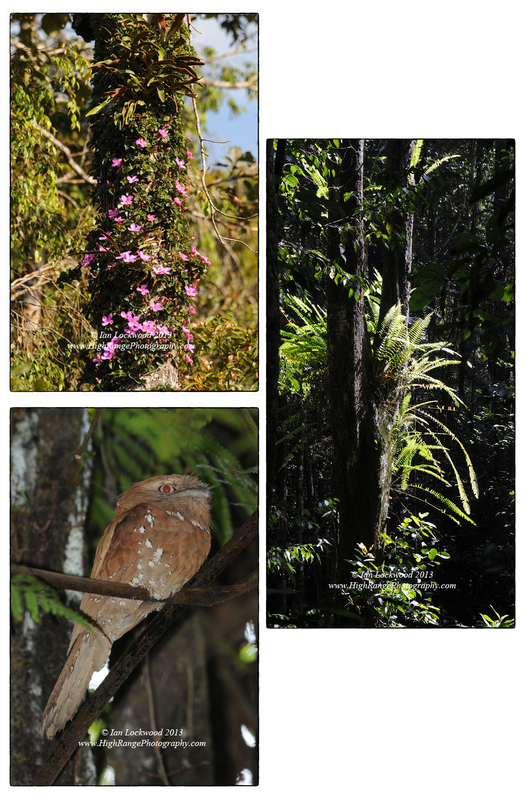 On Wednesday we took the long and very windy road north and east of the boundary via Rakwana, Suriyakanda and Deniyaya to the incomparable Rainforest Ecolodge. During the course of the five days looked for birds, handled snakes, trekked into the deep forest to explore caves, climbed peaks, swam in cold mountain streams and tried to sit in silence in the star-lit forest (not very successful with all the giggles and leech-inspired screams). I gave several photography mini-workshops and had lots to share about he ecology, but a bad cold had robbed me of my voice. Pradeep, our other male chaperone helped me out while I rolled my eyes and tried to use sign language. Time was set aside each day all of us to reflect using journals and guiding questions. Overall the students were great and put up with the activities, conditions, numerous stops and long road trips. Their efforts to organize a clothes drive and health camp with Indrika Senaratne at the Ecolodge tea worker’s camps worked out exceedingly well and surpassed our expectations. Meanwhile the rest of OSC’s secondary school was out and about in the different corners of Sri Lanka. This year the WWW program that I coordinate had trips in Jaffna, Anuradhapura, Arugam Bay, Bandarawella, Kitulgala, Hikkaduwa, and Galle. There were major changes this year in that the older students got to choose and then participate in the planning of their trips- modeled on the MUWCI Project Weeks that Raina and I were involved with a decade ago. This coming week we are having a WWW exhibition to share all the learning with our school community. 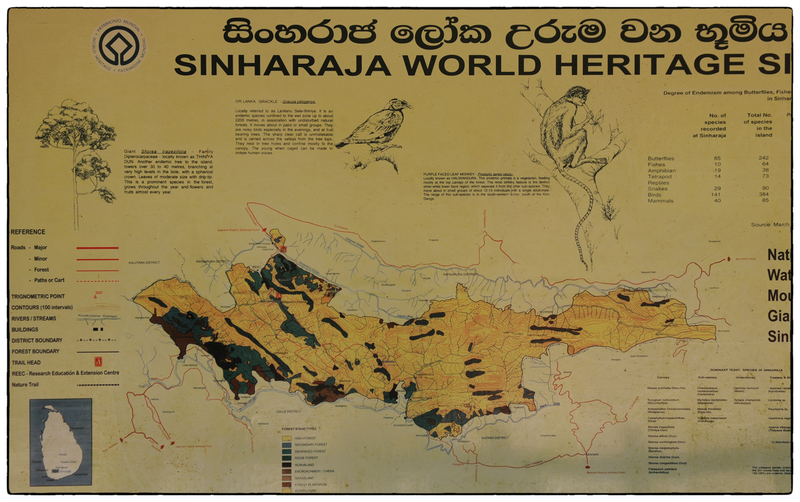 Forest Department map of Sinharaja from a signboard at the Kudawa entrance. OSC 2013 WWW Sinharaja group at Martin’s about to hit the forest in new leech socks. 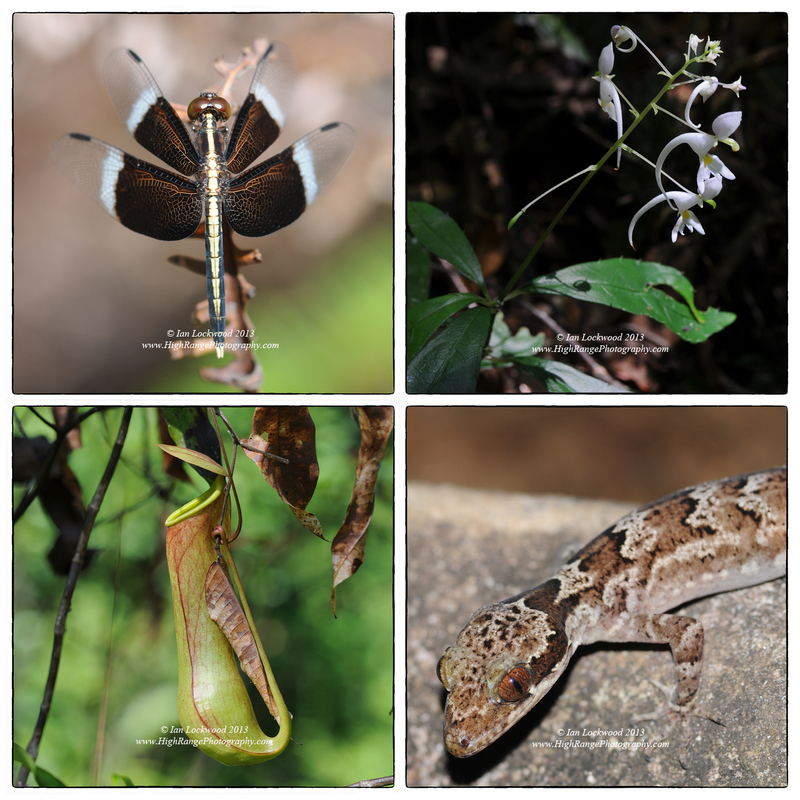 More biodiversity that we witnessed in Sinharaja (clockwise from upper left): Pied Parasol (Neurothemis tullia), Impatiens sp. , Sinharaja Bent Toe Gecko (Cyrodactylus subsolanus) and the Sri Lanka pitcher plant (Nepenthes distillatoria). 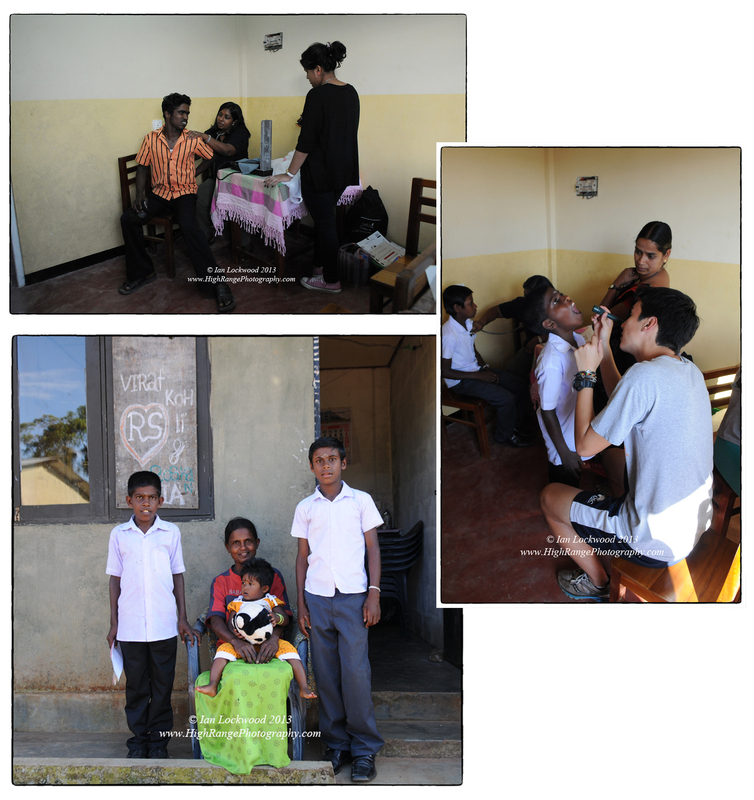 Medical camp run by Dr. Indrika Senaratne and our OSC students at the Rainforest Ecolodge village for tea workers. 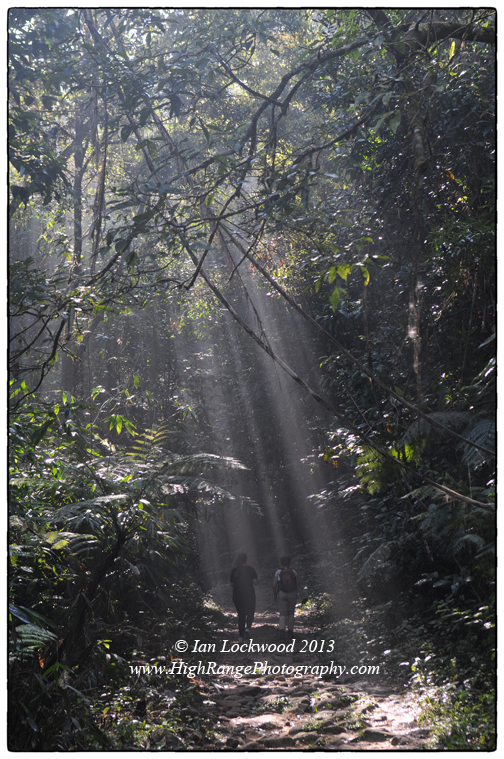 Rainforest Ecolodge: Night and Day. View north and east from the Rainforest Ecolodge. The high ridge (@1,300 m) has notable peaks on it with Suriyakanada’s towers being at the far right. Morningside is a short distance away over the forested foreground. Click on image to enlarge. Chandra, the only female nature guide working at Sinharaja, at the Gallenyaya cave on Sinhagala trail. She has been working with OSC students groups for the last seven years. 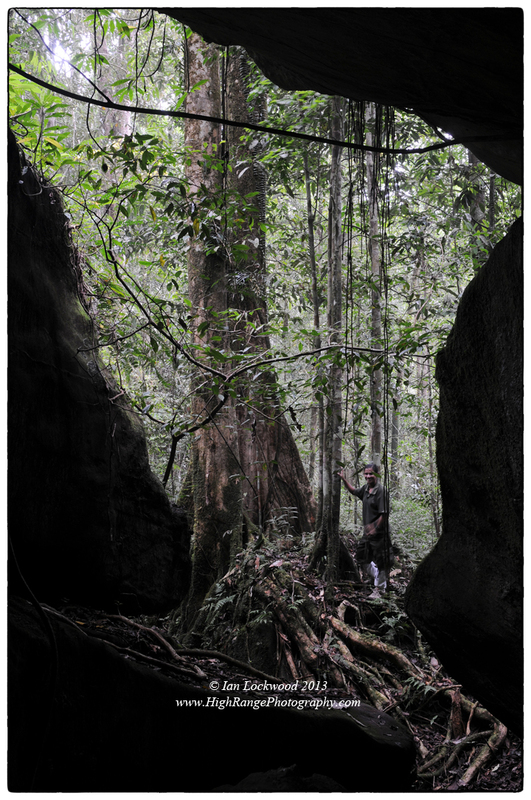 Sub-montane rainforest canopy from the Rainforest Ecolodge. Leaving the forest on a beautiful morning with creation light. Looking west to the Agamalai Hills (to the left) and the Berijam Ridge escarpment of the Palani Hills. Taken from the Pillar Rocks viewpoint on a crisp winter morning. In the far distance to the south-west (left) are the Highwavys while to the far west is a portion of the Cardamom Hills near Bodimetu. 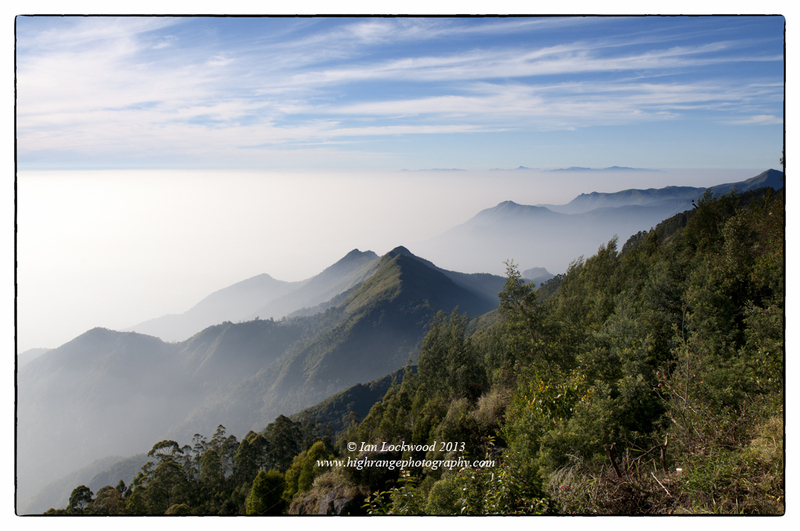 In 2012 I had a chance to visit the Palani Hills on several occasions and was fortunate to have an opportunity to get out into several of the remoter areas. My mapping work on the ranges and larger southern Western Ghats system continues from afar. In this post I highlight some of the familiar views shot in panoramic during our family’s winter visit. Winter view looking west from Coaker’s Walk. The Highwavy Hills are in the far distance, just above the haze line (estimated at about 1,400 meters). Earlier images of the same view show native grasslands in the foreground while here they have almost completely been obliterated by invasive wattle and lantana! Perumal and the view east from Coaker’s Walk in the winter. View east to Perumal and Priest’s Walk (far left) from Eagle Cliffs. This rugged escarpment was once the favorite haunt of Nilgiri tahr, something recorded in earlier accounts of Kodaikanal. 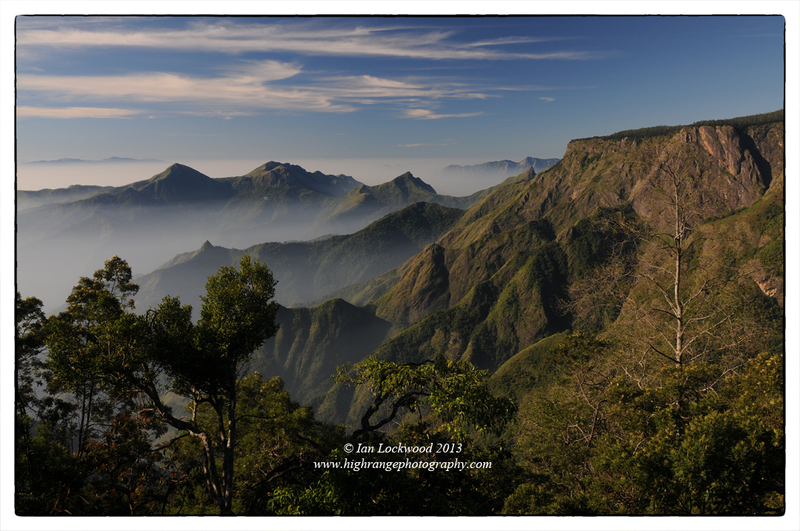 Anai Mudi (far left) the High Range/Eravikulam plateau and Anaimalai Hills looking westwards from Kukkal. The Nilgiris were also visible to the north-west (out of the frame). Anai Mudi and Eravikulam from Kukkal in the winter. Kukkal ridge with the Nilgiri Hills visible on the north-west horizon. The Anaimalai Hills above Chinnar Wildlife Sanctuary are to the west (left).